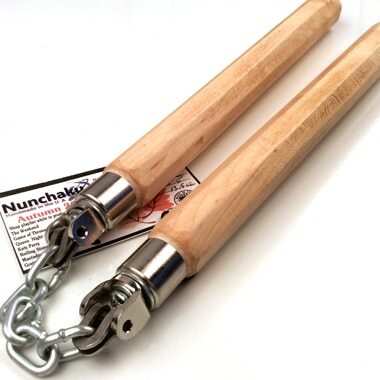 Helpful notes when ordering Chain linked nunchaku. 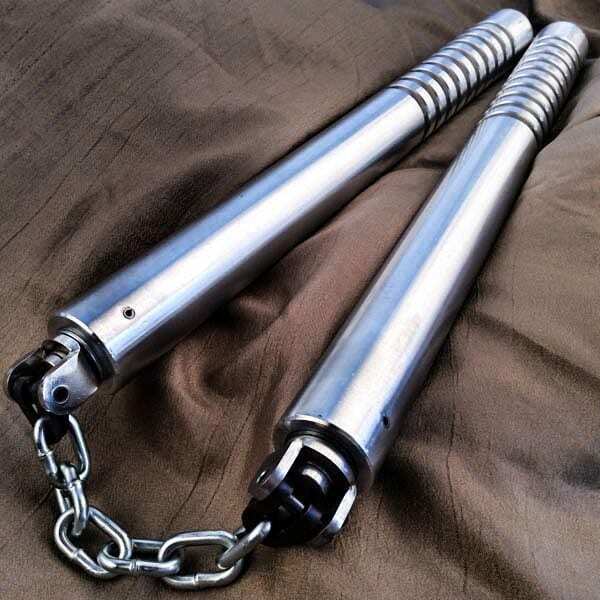 Like the rope linked nunchaku, nunchaku chain links preferences are difference for everyone. 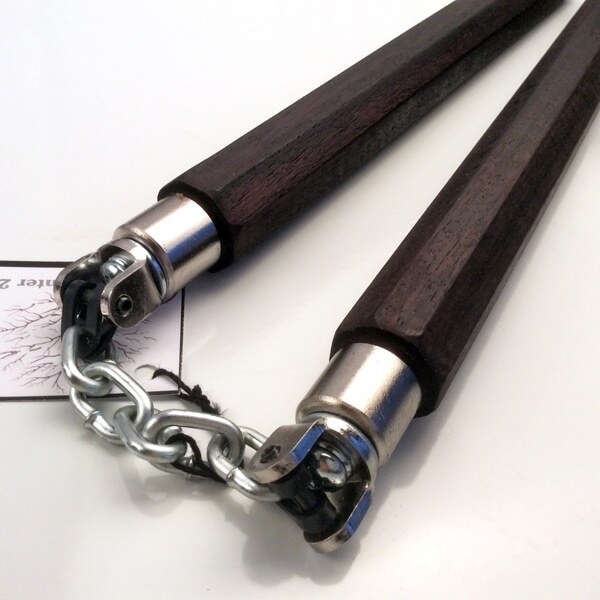 The standard for our chained nunchaku is 5 chain links. 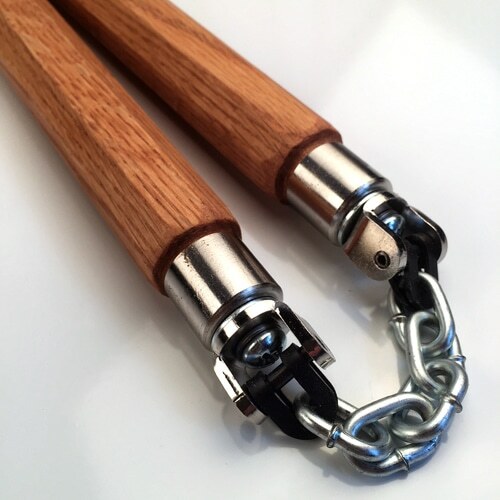 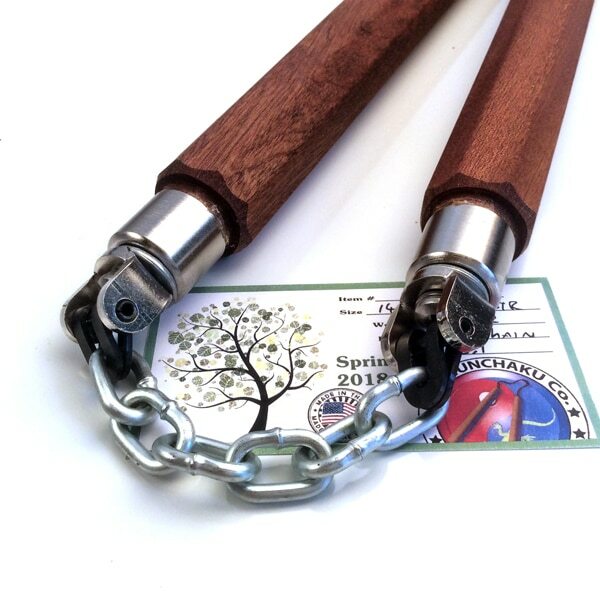 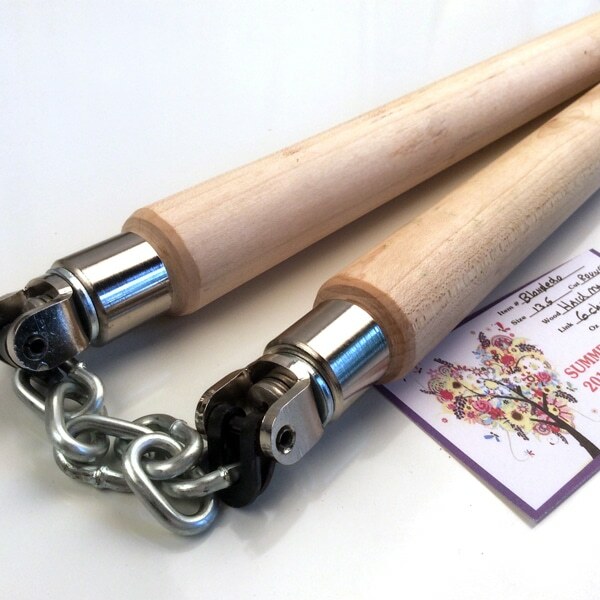 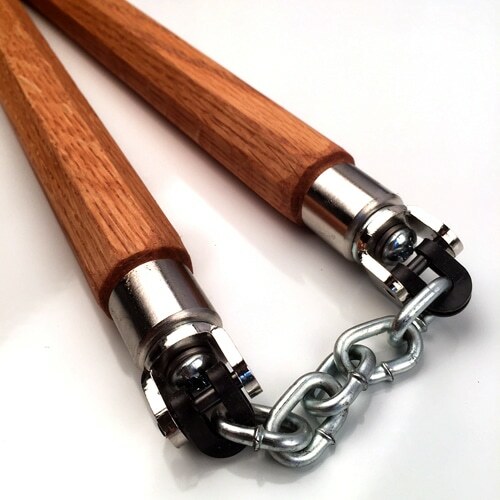 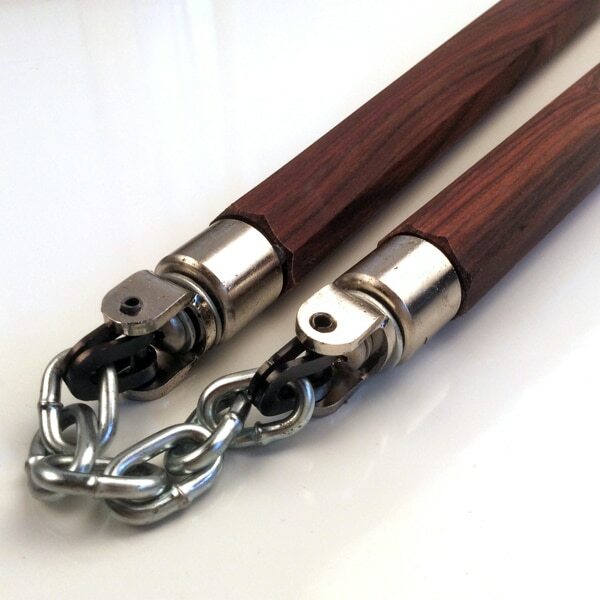 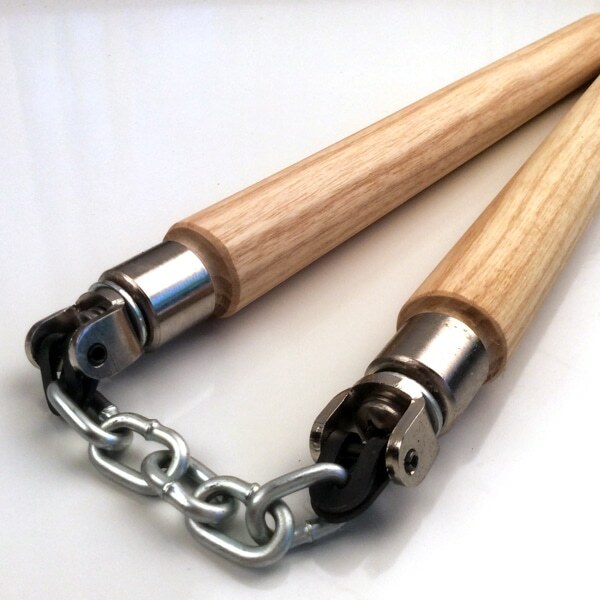 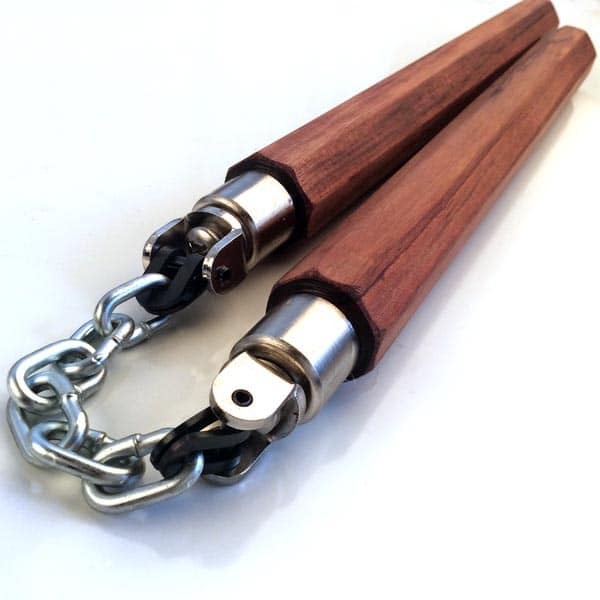 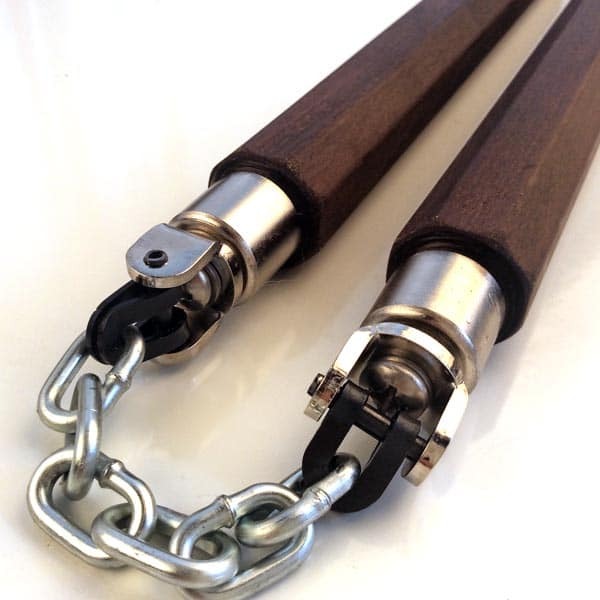 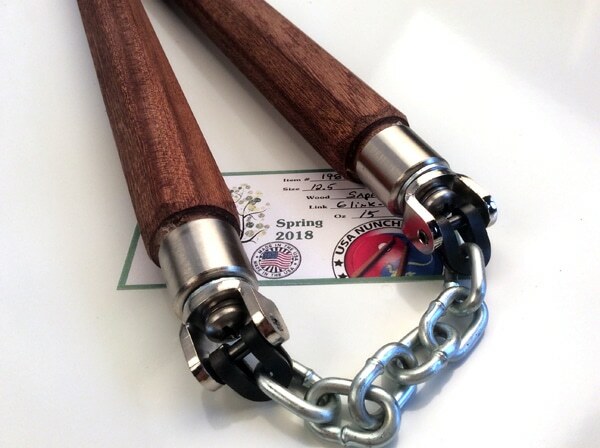 When ordering any of the chained nunchaku you can select more or less links to suit your needs. 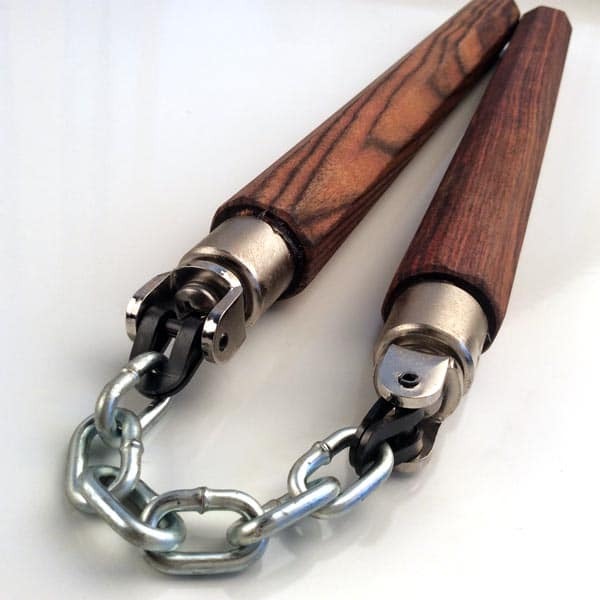 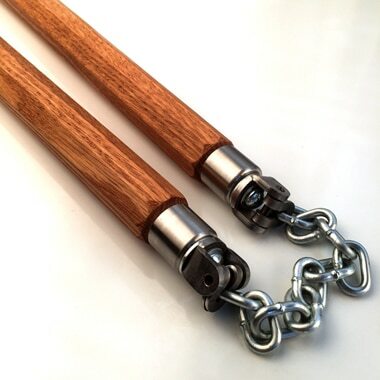 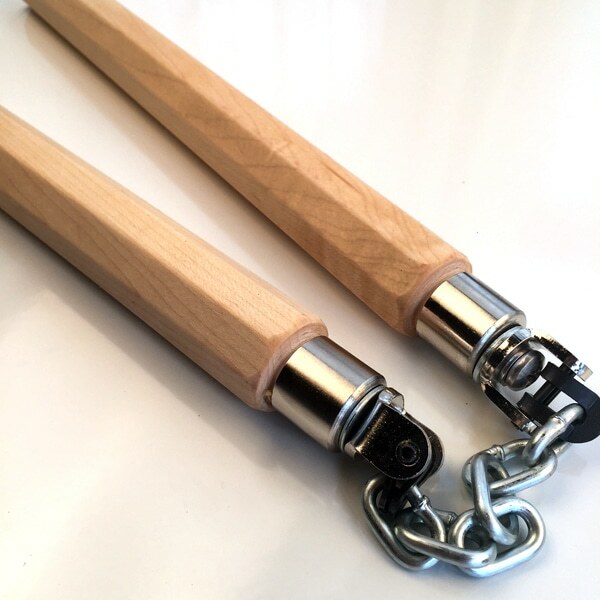 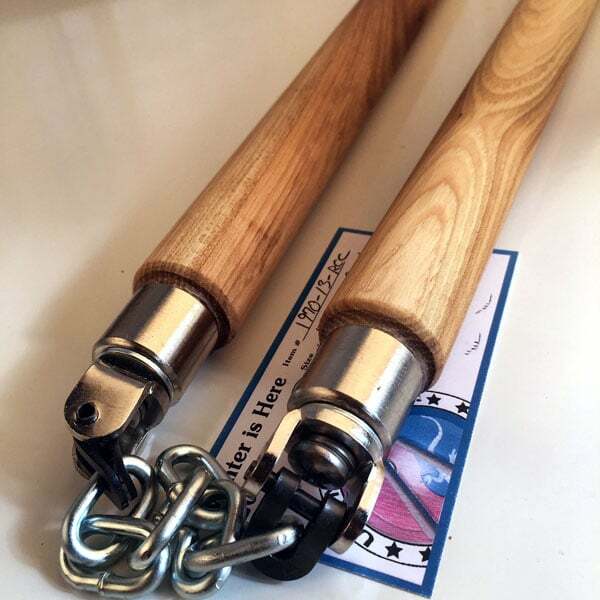 We also make some of the longer nunchaku with 6 links which gives them a “looser” feel when spinning them. 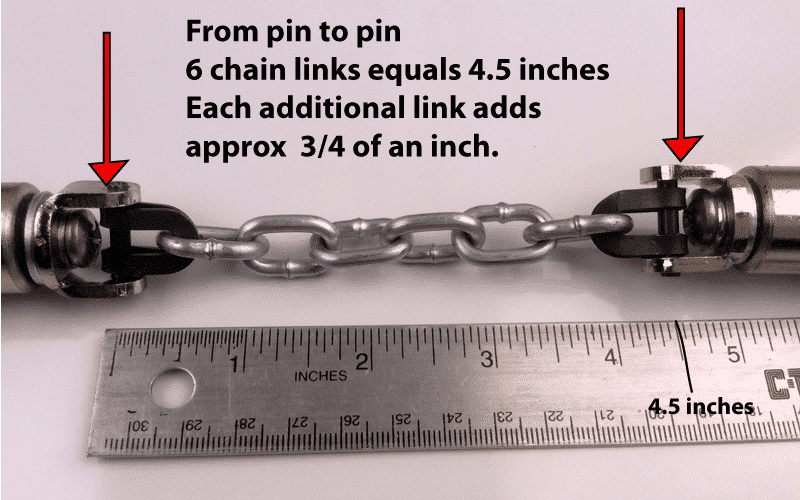 The standard 5 chain links on the U swivel is the most common length that is used. 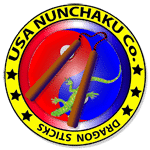 The more links that are added the looser the feel the nunchaku have when spun. 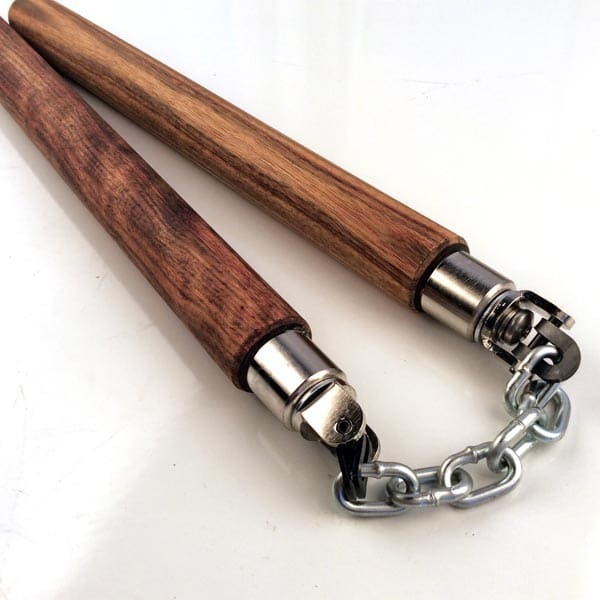 Just like with roped nunchaku you may have to experiment with different lengths to find out which one is right for you. 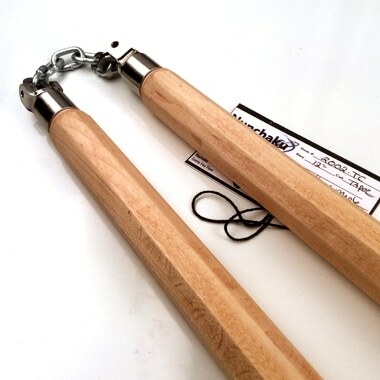 Different martial arts styles also play a role in what length it correct for the application you are using them for. 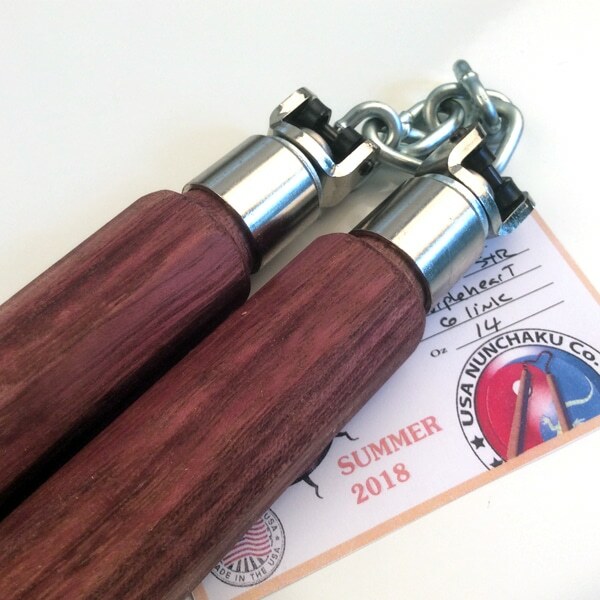 When in doubt, ask your school instructor. If you need any other information please feel free to write to us via our contact form and we will be more than happy to help answer any questions you might have about nunchaku rope and chain lengths. 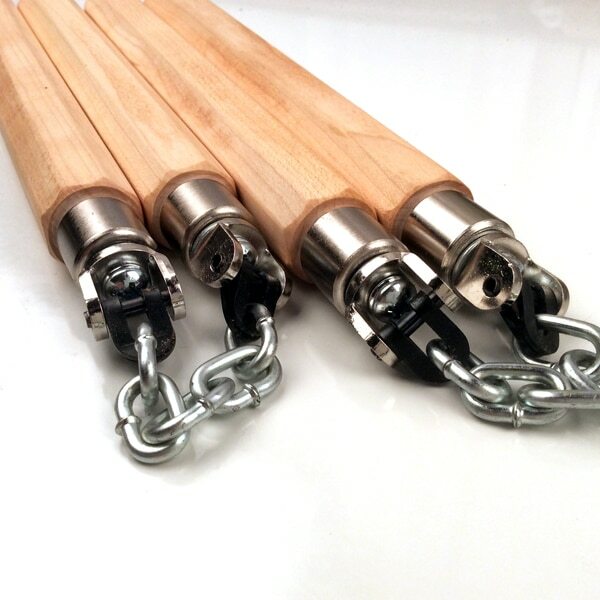 Below is the basic way we measure the distance of the nunchaku chain links.